HEXUS last reported on the rumoured AMD Radeon RX 590 release about a fortnight ago. That's a long time in tech, and info / rumours concerning the RX 590 have increased over recent days. Several sources are now quoting a launch date for the upcoming RX 590 as 15th November. I think this rumour originated in China, and the earliest report seems to be on MyDrivers. Other news morsels regarding the RX 590 are that Asus and PowerColor samples have been unearthed and the card has recently featured in Square Enix's Final Fantasy benchmarks online. Starting with the launch date rumour, MyDrivers claims that the Radeon RX 590 will launch 15th November, priced at 2099 yuan, which is approx £235 today. The site echo earlier postulations, that the card will in essence be based on an RX 580 core, manufactured on a 12nm process to create Polaris 30. It is expected that performance will be improved by about 10 to 15 per cent. 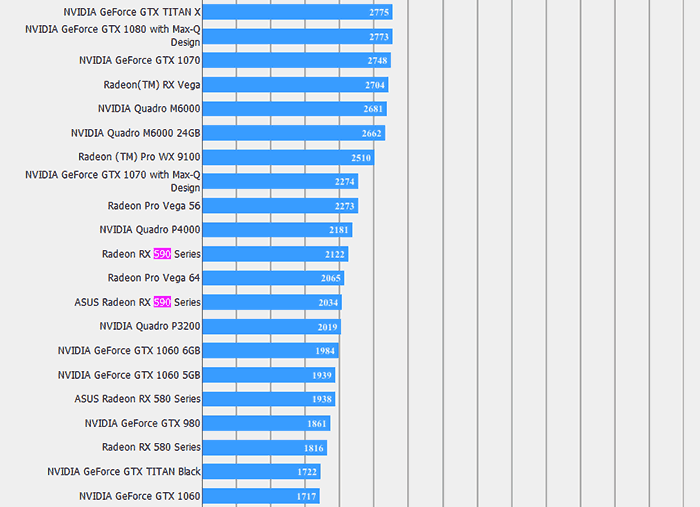 3DMark Time Spy benchmark leaks backup this expectation. We have seen indications that Asus has an RX 590, waiting in the wings, as does HIS Digital, and PowerColor. 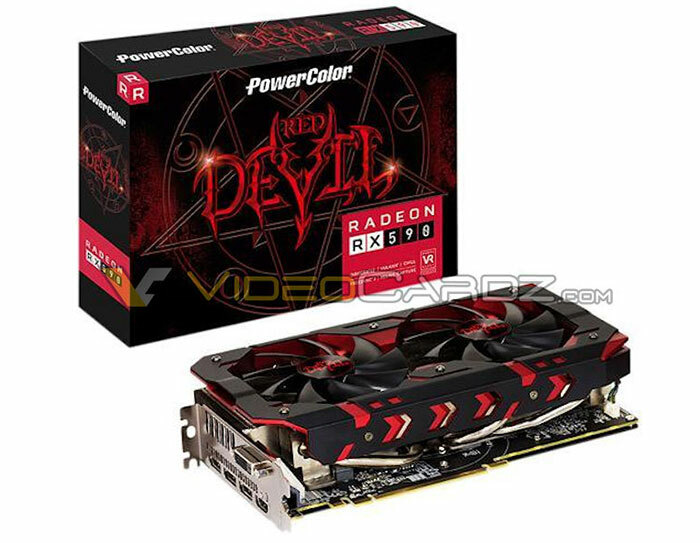 The most recent and clearest leak is of the PowerColor Radeon RX 590 Red Devil, via VideoCardz (see image above). Now benchmarks have appeared on the Final Fantasy XV online results browser. You can see several RX 590 results in the 2560 x 1440 and 3840 x 2160 sets of tables. In most cases its nearest equivalent seems to be the Nvidia GeForce GTX 980. As well as a generic RX 590, there is an Asus RX 590 in these benchmarks listing too (In the 3840 x 2160, High Quality table, and it is only in this one of the six tables where the RX590 beats its close GTX 980 rival. See below).